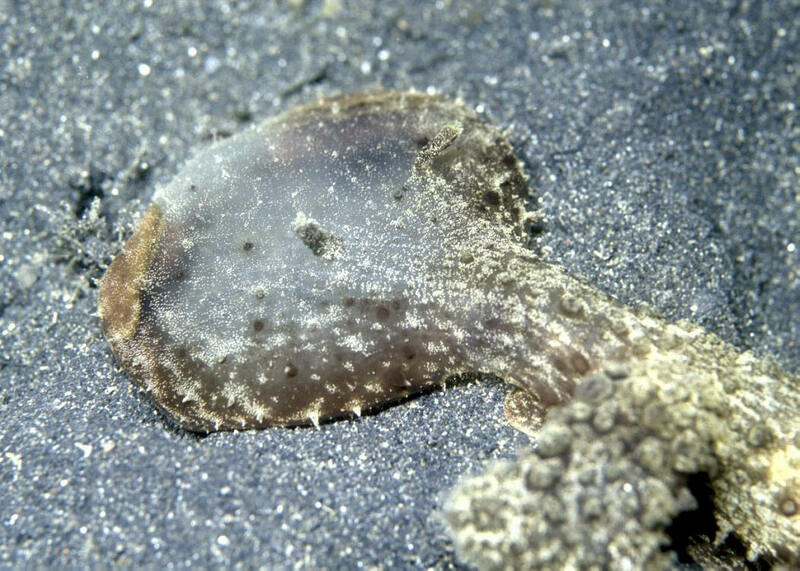 Melibe mirifica (Allan 1932). To 30 cm. 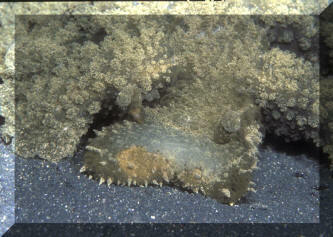 Small rhinophores and conical, unbranched ceratal tubercles. 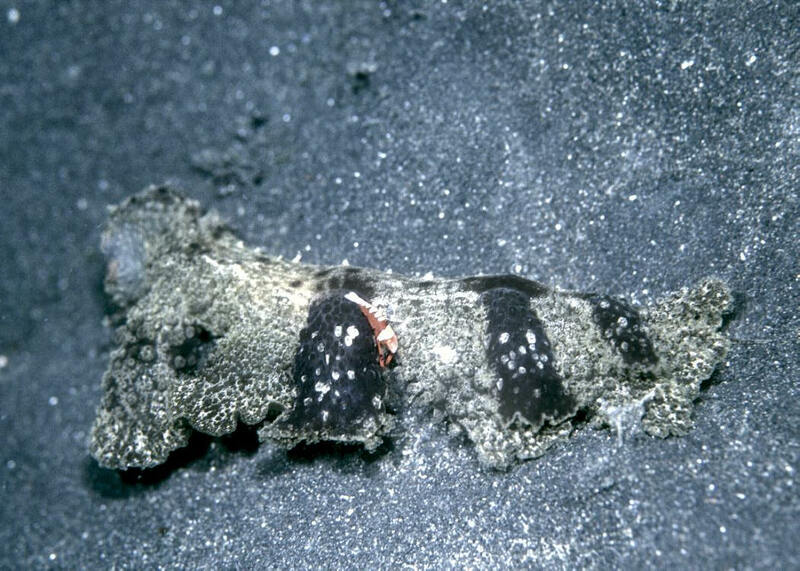 This specimen in N. Sulawesi's Lembeh Strait (tentative identification). A huge animal (about a foot in length) with a "extensible head" that came out every few seconds, seemingly sampling the substrate for food. Here the head is out sweeping the substrate for food. Melibe mirifica (Allan 1932). To 30 cm. 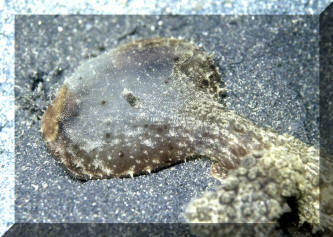 Small rhinophores and conical, unbranched ceratal tubercles. 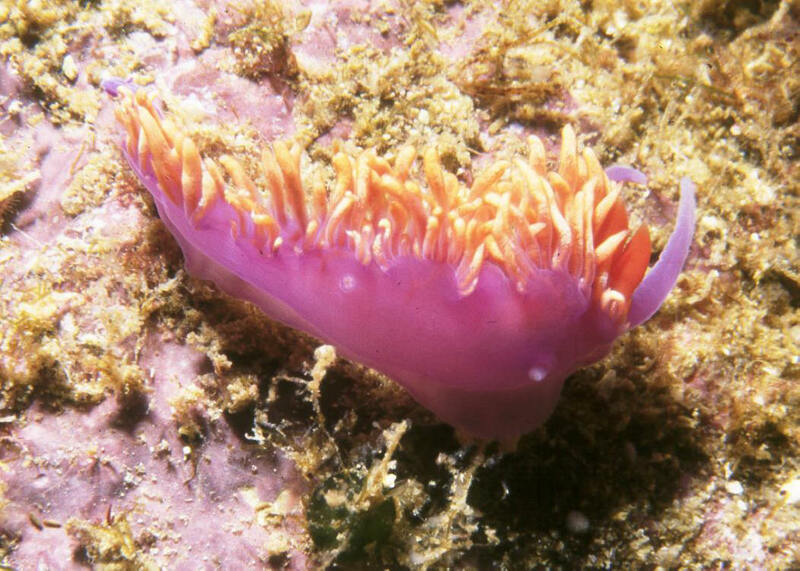 This specimen in N. Sulawesi's Lembeh Strait (tentative identification). A huge animal (about a foot in length) with a "extensible head" that came out every few seconds, seemingly sampling the substrate for food. This foot long specimen has an emperor shrimp on its dorsal surface. 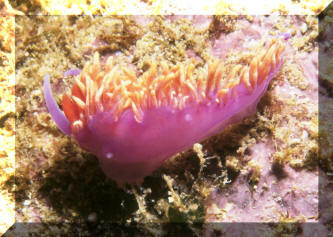 Flabellinopsis iodinea, the Spanish Shawl. Photographed off of Submarine Rock, Catalina Island off of Southern California.